A Micro & Small Enterprise, in terms of MSMED Act, 2006 can now go ahead and issue shares or convertible debentures to a person resident outside India (PROI), exceeding 24% of its paid -up capital. The only conditions which need to be fulfilled is w.r.t the sectors prohibited and the maximum limits in Schedule 1 of Foreign Exchange Management (Transfer or Issue of Security by a Person Resident outside India) Regulations, 2000. 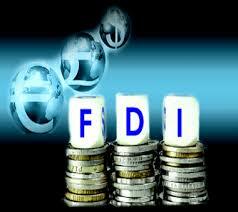 Nonetheless, it should comply with FDI Policy, as notified by Ministry of Commerce & Industry, G.O.I., from time to time. Further, any Industrial Undertaking, which is not an MSE and having an industrial license under the provisions of Industries (Development & Regulation) Act, 1951 for manufacturing items reserved for MSE sector, can issue shares exceeding 24% of its paid up capital with prior approval of FIPB. This entry was posted in Articles and tagged Legal, legal consultants, legal documents, Legal Framework, Legal issues, SME's on February 22, 2014 by novojuris.